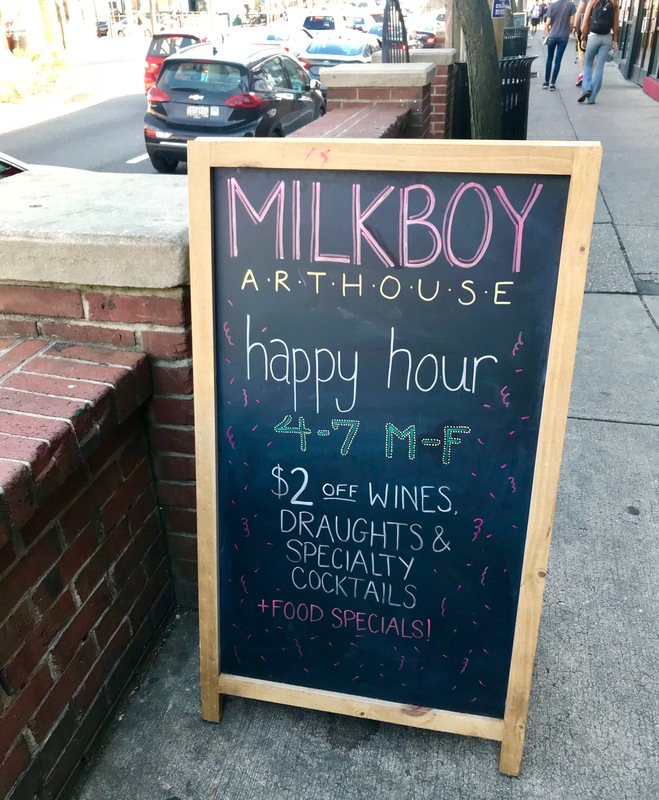 Milkboy Arthouse is located on Baltimore Avenue, in the heart of downtown College Park. The city’s favorite creative arts space, MilkBoy ArtHouse, is coming up on one year of business. The collaboration brought to life by a Philadelphia establishment and The Clarice at UMD has become a hub for people in the community to socialize, engage in the arts, and enjoy a nice evening out. Well-established in Philadelphia, the brand opened its doors in College Park last May, to cater to the growing, diverse community that exists in the College Park area. “There was a need for a creative arts space for the community and the campus to come together,” said Martin Wollesen, Executive Director of The Clarice at the University of Maryland. 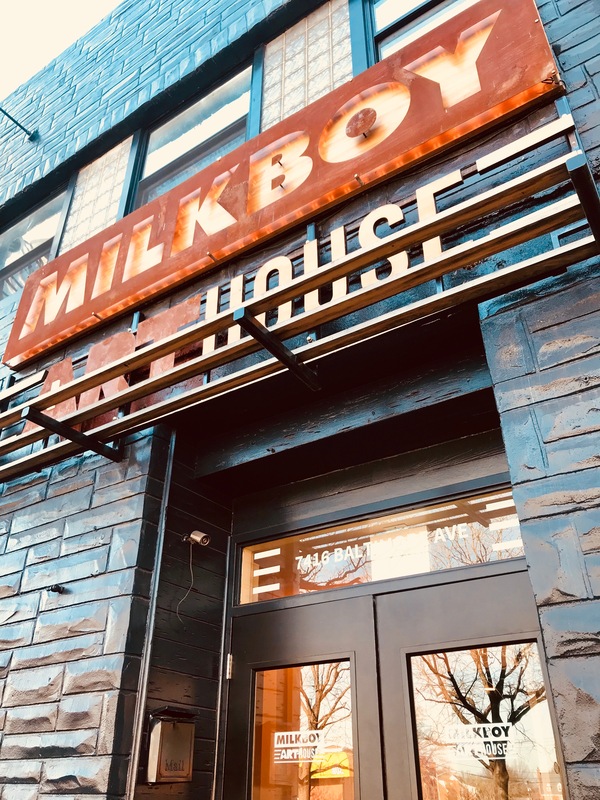 The only campus-community partnership of its kind in the country, MilkBoy ArtHouse is engaging College Park locals with the arts, while also connecting different groups of the community. “We found that people in the community wanted to engage more with students, and students wanted to engage more with community members,” said Wollesen. MilkBoy ArtHouse provides a space for all of the city’s residents and visitors to come together to enjoy a live show, good food and drinks, in a fresh, contemporary atmosphere. 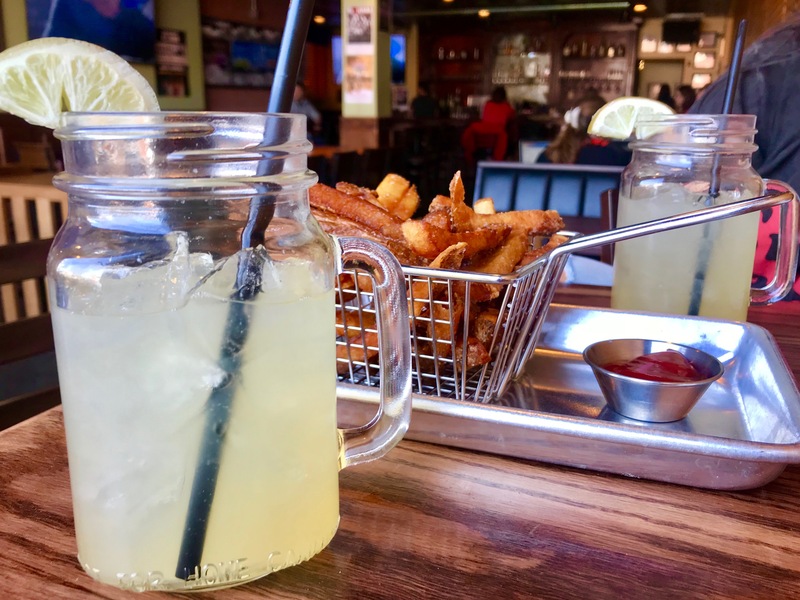 The moscow mule is the perfect refreshment on a warm day! Happy hour at Milkboy is every Monday-Friday from 4-7 p.m. This Spring, Milkboy Arthouse has curated a Singer Songwriter series with local songwriter Annette Wasilik, showcasing three talented songwriters and an opening by a local up-and-coming artist each show. The venue has also become the center of the revival of jazz in the area, featuring artists like the Bohemian Jazz Orchestra and René Marie, through the Artist Partner Program organized with The Clarice at UMD. The Washington Post recently highlighted Milkboy Arthouse for “picking up slack” in the greater D.C. jazz trend, creating a space for jazz musicians to perform and collaborate, outside of downtown D.C. neighborhoods. Tickets and additional event details can be found here. 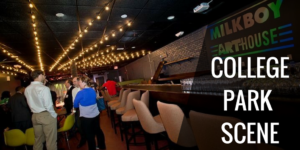 As College Park welcomes a variety of new businesses and continues to grow, having a diversity in dining, shopping, and recreational amenities is important, and MilkBoy ArtHouse is exactly the type place in College Park that adds to the excitement in the city, and will for years to come.